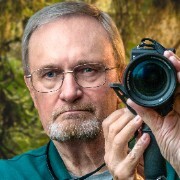 A recent discussion with Charles Haacker and what dangerous situations we as photographers put ourselves in to capture that photo. Would love to hear your stories and see images, (if available) of what you went through to capture that photo. For me, I have had a few, but only two come to mind at the moment. I love to photograph lighthouses, while in Bar Harbor, Maine I ventured out alone on a very foggy early morning, before daybreak to Bass Harbor Head Lighthouse. Knowing there were large rock formation, but not realizing how treacherous it would be until I arrived. Although, I had no accident, I did have an after thought. What if I had fallen? There all alone mangled within the rocks not know for how long before someone arrived or if anyone would ... until it was too late. I should gather a little more common sense when venturing out. Although, I didn't heed my own advise, while at another rock formation lighthouse just a few days later, I did take a tumble, slipped while on wet rocks and fell with camera in hand. Skinned up but manage to hang onto the strapless camera. If not the camera would have slipped slide away into the harbor. That was at Cape Neddick Light also known as Nubble Lighthouse. Got a story to share? Would love to hear all about it. I'm sure you have one. Sorry my home state wasn't so hospitable, Dave Gotta chuckle over that last photo of yours, but it's always good to be reminded of "safety first." I was at Chinook Pass in mid-July. There are tourists around but no cell phone service and otherwise pretty remote (near Mt Rainier National Park). Below is the last shot - oh so peaceful and pretty - before I took a tumble when I lost my footing stepping over a log on a rain-soaked path. I fell down a slope towards the lake and flipped over, ending on my back on some logs - the logs stopping my going fully into the water. I did have to step into the lake to extricate myself from my log bed. My camera did not break (I only lost the lens cap) even though I think it hit the log (somehow my arm ended up through the strap, like a sling, rather than the camera just dangling from my neck); I had no cuts, only bad bruises - and was able to walk 50 or 75 feet back to my car. I had a change of shoes and socks with me, and after eating a snack and discovering the camera still worked, I had a sober hour and a quarter's drive home in which to take further inventory and to think about how very lucky I had been! I'm pretty cautious by nature. Dave and I were chatting because I mentioned I had gotten a waterfall/rapids picture by putting myself as some slight risk on wet rocks, so he told me about the adventures he describes in his opening post. The takeaway from Dave's peril is mainly that he was alone and had not filed a flight plan. Had he been injured and no one knew he was out there, cell phone not working or no signal, whatever, that can and has ended tragically. So Dave, don't do it again! The picture I intended would have looked something like this, only closer. Much closer. TOO closer. That experience reminded me that a staff photographer for the Oakland Tribune (I knew him but can sadly no longer remember his name) was killed by a train while attempting a similar shot, in close to the track with a wide angle. He misjudged how close he was and something clipped him. I am a clumsy soul so have taken more than my share of slips and tumbles, but never had a serious injury to self or camera. I got pretty cold when I fell in the Arctic ocean photographing icebergs, but after a change of clothes got right back out there doing the same thing. But the worst troubles I've got in have been in vehicles, and one of the worst of those was last week in Quebec. My travel buddy and I leave our husbands behind a couple of times a year and go adventuring in ways they would never do themselves and certainly wouldn't approve of us doing, so we keep them secret. This was no exception. We were in Mt Tremblant park, had the wisdom to get a map (we don't always) and ask about road conditions as we went in, as Canadian parks are not actively rangered nor as well upkept as our US parks. We learned that the main entrance would be locked for the season at 4 pm that very day, but that there were other exits that would be open, and were told the roads were fine. We happily wandered deep into the park on well kept gravel roads, took our sunset pictures, and headed for the closest exit which was 3 miles away. It took us 4 hours to travel those 3 miles. There were boulders the size and shape of the ones in Dave's picture of Bass Harbor Light, and sometimes the road simply was the boulders and we drove on them. There were huge holes that would have held a dump truck. Sometimes there were rivers flowing across the road, and I'd have to get out with my headlamp and wade through, using hiking sticks to test the depth in front of me and pick a spot where the tires would get us across. We could hear wolves howling nearby, and waterfall raging just off the side of the road in the dark. Ever so often we saw ancient signage proclaiming a 55 kpm speed limit, admonishing us not to pass, or warning us that there were curves ahead. Apparently the road had once been different and the park attendant had not been on it for about 70 years if she thought it was fine. Sometimes we came to 4 way stops and made 3 wrong choices each worse than the one before. Our navigational device showed an image of us flying. There was no cell service. When we spotted a porch light on a tiny house, we felt like sailors who spotted the lighthouse in a storm. Sounds like a typical off road weekend for me. As for getting into troubled spots... I can't really recall any. Like others, I try to play it as safe as I can, minimize risk and all that. minniev wrote: [...] I got pretty cold when I fell in the Arctic ocean photographing icebergs, but after a change of clothes got right back out there doing the same thing. LindaShorey wrote: Sorry my home state wasn't so hospitable, Dave Gotta chuckle over that last photo of yours, but it's always good to be reminded of "safety first." Linda, that last photo was a test shot to see if my camera was still in working order. The first shot was taken later in the day as I returned for my wife to see the lighthouse, which I did the exact same thing as I did earlier. Just not alone, but still probably not a wise thing. Although, when I slipped and fell at Nubble, I was more worried about who, if anyone saw me to avoid any embarrassment. Go figure !!! Your tumble sounds as though it could have been a serious situation and glad that all ended with no drastic injuries. Afterwards, can you recall what was going through your mind as you were sliding/tumbling down? Probably happened so fast and relieved that you were able to get up. Thanks for sharing a story that not only you, but we can also appreciate. Charles Haacker wrote: I'm pretty cautious by nature. Dave and I were chatting because I mentioned I had gotten a waterfall/rapids picture by putting myself as some slight risk on wet rocks, so he told me about the adventures he describes in his opening post. The takeaway from Dave's peril is mainly that he was alone and had not filed a flight plan. Had he been injured and no one knew he was out there, cell phone not working or no signal, whatever, that can and has ended tragically. So Dave, don't do it again! Chuck, it's amazing how we tend to shut off our surroundings, noise and what ever else that may be around us when focused on a subject. I'm sure you felt very fortunate in the after mass of things that had just past you, and an incident that you thought about for some time afterwards. Thanks for sharing. minniev wrote: I am a clumsy soul so have taken more than my share of slips and tumbles, but never had a serious injury to self or camera. I got pretty cold when I fell in the Arctic ocean photographing icebergs, but after a change of clothes got right back out there doing the same thing. Minnie, are you sure you didn't get your two stories from a book you read? LOL !!! I'm sure not, but you should consider writing one, and be sure to include those. Your story, along with everyone else, I tend to put my self along with everyone. Yours, I put myself in the back seat of your car as you and friend drive along in Mt Tremblant park. A very eerie feeling you all must have had. Within my family, everyone always jokes at me for always knowing a shortcut, and I always seem to get lost, even with a GPS. I love reading about the experience from everyone and so glad that we are all able to share them .... and hopefully laugh about it now. Thanks for sharing yours. davechinn wrote: ...Afterwards, can you recall what was going through your mind as you were sliding/tumbling down? Minnie's and Chuck's stories are the stuff of nightmares!